You’re oh so close to getting the greatest ebook ever written about dental marketing and practice growth. Okay, so that might be a bit of an oversell, but trust us, this book is awesome! 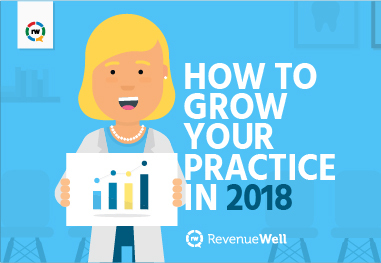 To ensure that 2018 is the best year ever, we spoke with some of the top minds in the dental industry about practice growth, and boy did they deliver! At RevenueWell we find a daily joy in connecting dental practices with their wonderful patients. We hope you enjoy reading this ebook as much as we enjoyed making it. We can’t wait to watch your bottom line grow from all the knowledge inside. Here’s to making 2018 your best year yet!